Thrustmaster’s 50 m Portable River Ferry has a dead weight load carrying capability of 260 tons and vessel speed of 6 knots. 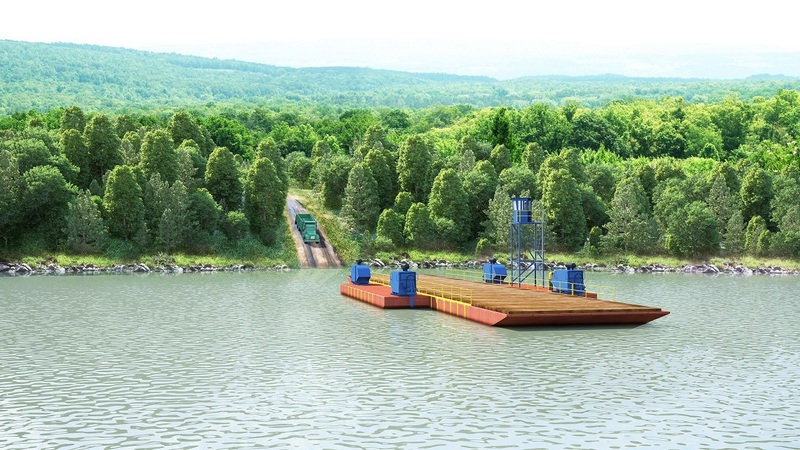 The 50m Portable River ferry is composed of 23 modular barge sections. 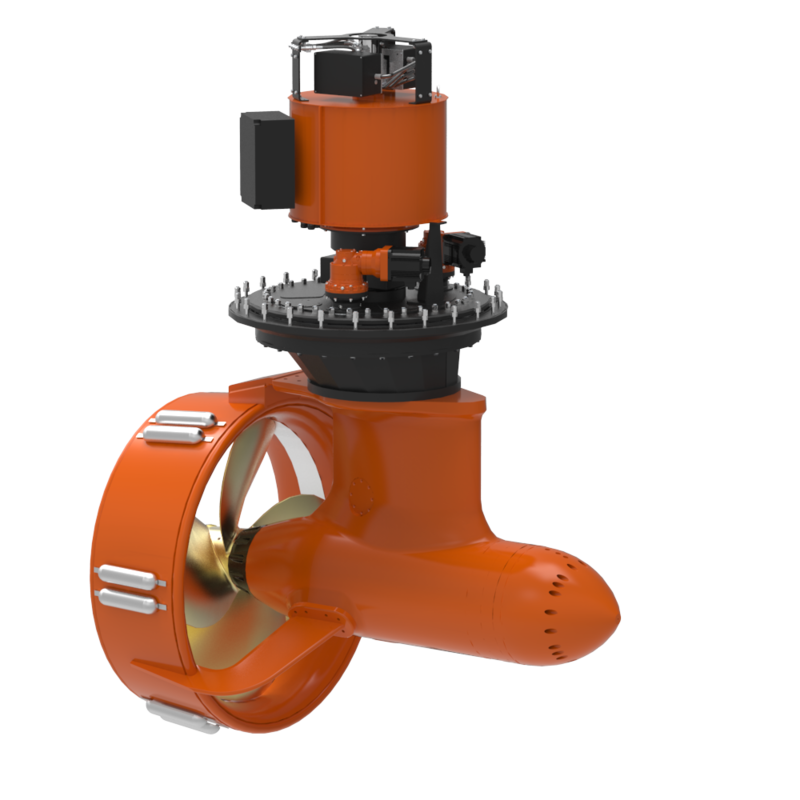 Equipped with four 125 kW self-contained, hydraulic outboard propulsion units the ferry is capable of transporting four tractor trailers, 12 dump trucks, or various other vehicle combinations. 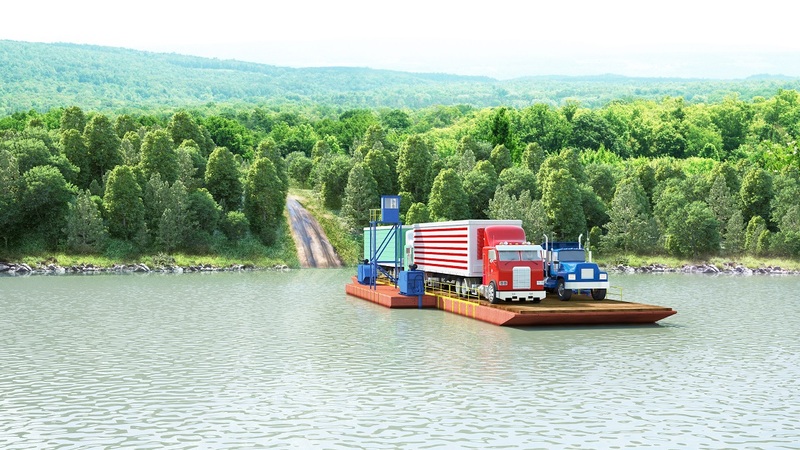 The Ferry comes with a durable laminated mat decking suitable for heavy vehicle use. The ferry ramps have a deck bearing capacity of 29,294 kg/m2 and ferry floats have a deck bearing capacity 24,412 kg/m2.